The Pomodoro Technique is a productivity and time management strategy where you work for 25 minutes straight and then take a 5 minute break. Each 25 minute work session is one Pomodoro. After you’ve done 4 Pomodoros, it is recommended that you take a longer 15-30 minute break. The Pomodoro Technique is based around the idea that if we focus without distractions on one task for 25 minutes that we’ll get things done faster. The breaks will also help you to give your mind and body a rest and feel good for the next Pomodoro. I’ve found that the Pomodoro Technique is the most impactful when you plan out your Pomodoros in advance. I like to look at my work day and break it down into Pomodoros. If I do 4 Pomodoros and then take a 30 minute break, I can see how many Pomodoros I can work through during one day. That gives me a really good look at how much time I have available. RELATED POST: Learn more about how I plan my day in my blog post, How to Plan Your Day the Night Before. If I have 14 Pomodoros for one day, then I can select a task for each of those Pomodoros. Some tasks may take multiple Pomodoros. Writing a blog post, for example, may take 4 Pomodoros. So If I had 14 Pomodoros for the day, and 4 are being used towards a blog post, I have 10 left. It’s okay if you don’t know how long something will take you at first. That is part of the learning process when you start using the Pomodoro Technique. Instead of just spending “all day” on a blog post, if you learn that it only takes you 2 to write a quick rough draft, you can plan better next time. Or maybe you need 6 Pomodoros to write the blog post. Either way, you’re starting to learn how long things actually take you to complete. When you know how many Pomodoros you have available in one day and start assigning tasks, you can also see when you’ve overcommitted for one day. Say goodbye to the really long to do list! When I started using the Pomodoro Technique, I needed a way to easily see how long I thought something would take and how long it actually ended up taking. That’s why I started using the Productivity Planner to help me plan my day and track my Pomodoros. The Productivity Planner is built around the Pomodoro Technique. It has you write down your most important tasks for the day, estimate how many Pomodoros you think it’ll take, and then provides a place to track how many it actually takes and compare the difference. With inspirational quotes at the top, a space for notes, and a productivity score, the Productivity Planner is the perfect planner if you’re looking to use Pomodoros to increase your productivity. I still use and love the Productivity Planner, especially on busy days! In order to get the most out of each Pomodoro, you have to cut out distractions and stay focused. 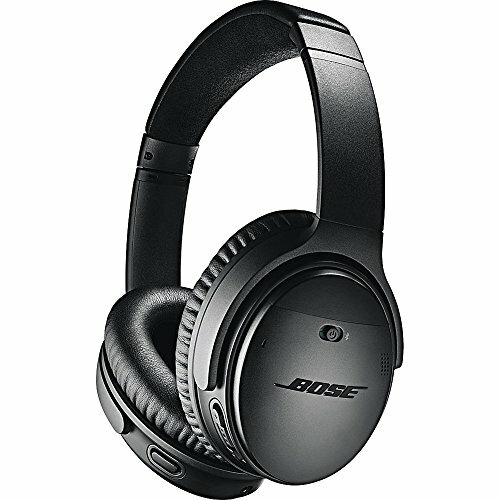 I like to put on noise canceling headphones, play some focused music, put my phone on silent, turn off all notifications, and make sure that the only tabs or applications I have open on my computer are the ones I need to do the work. RELATED POST: Learn more about how I stop getting distracted in my blog post, How to Stop Getting Distracted While You Work. Sometimes when you’re being really focused, you’ll have an amazing idea or question or thought. When you’re in the middle of a Pomodoro, I don’t want you to go down the rabbit hole with that thought but I don’t want you to forget it either. Instead, have a dedicated place where you can capture that idea and get back to focusing. I recommend that you have a dedicated journal, notepad, or notebook where you can write down any ideas that come to you during a focused work session. Then, after your work is done, you can go back to your notepad and put that idea somewhere more permanent. You can also do this digitally, but just be careful not to get distracted by anything else you see there. The goal is to quickly capture without losing focus for more than a few seconds. When you first start doing the Pomodoro Technique, it can be tempting to skip the 5 minute break. I confess, I’ve done this before myself. But don’t skip the breaks! The reason this works is because it gives your brain a break from being so focused. It allows you to be really focused for 25 minutes and then rest. That way you can come back for another Pomodoro session ready to go. By doing this, you’ll have greater mental endurance throughout the day. If you just keep going and skip the breaks you’ll get mentally worn down faster and will end up getting less done overall. During the breaks, be sure to get up and leave your desk. Walk around, cuddle your pets, dance, get a drink, go to the bathroom, etc. DON’T just sit there at your computer doing other stuff. In order to track your Pomodoro sessions, you should use an actual timer. I prefer a physical timer but you can use one on your phone or even a browser extension if you’d prefer to go digital. But the best is when you can see the timer while you’re working. It helps you stay motivated and acts as a reminder that you’re focused on one thing right now. Nothing else. While I think the 25 minute Pomodoro Technique is a game changer, I want you to feel empowered to customize it to fit you. The 25 minute sessions work great for me, but I know others who thrive with slightly longer sessions. So if 25 minutes feels too short for you, try a 45 minute session and then take a 15 minute break after and see how that feels. Just be sure that if you extend each Pomodoro session, that you take a long enough break to rest your mind! 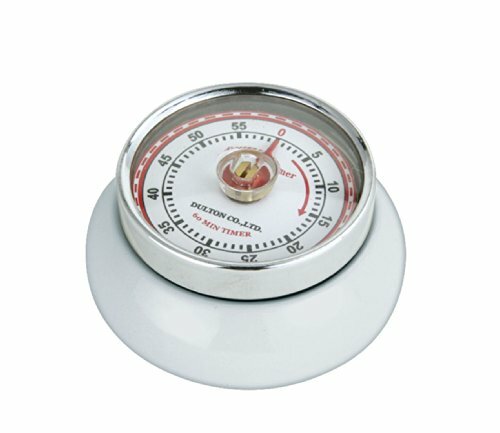 I’ve been using the Pomodoro Technique since 2016 and I’ve found my ride-or-day Pomodoro technique tools that I want to share with you. Like I mentioned earlier, having a physical timer has been amazing for Pomodoros. You can use any timer you like but I really like this simple digital timer to help me quickly and easily see where I’m at in my Pomodoro session. If you want a special app for your phone or computer to help track your Pomodoro sessions, I like the BeFocused app. It even allows you to type in what you’re working on so that you can see a summary of what you’ve done for the day and how many Pomodoros you’ve accomplished. I’ve been using these noise cancelling headphones for years and I love them. They’re over the ear which means they are comfortable all day and never hurt my head or ears. They hold charge for a long time. They’re wireless and bluetooth so no messy wires to distract you. You can tell a huge difference when you put them on. I feel like just the act of wearing these headphones helps me zero in on my work and stay focused. I’m obsessed with my Productivity Planner. If you’re using Pomodoro Technique, it is a must-have for planning out your day and tracking your time. I love how it challenges you to prioritize your tasks for the day and set a target for how many Pomodoros something will take. It gives you space for up to 5 Pomodoros per task. If something needs more than 5 Pomodoros, chances are that your task is too big and needs to be broken down into smaller tasks. If you have a bad habit of opening up other distracting sites while working, the StayFocused app is great! It is a free Chrome extension that lets you set your blocked sites during certain hours and let you set a specific time that you can spend on them per day. If you’re going to be staring at the computer for an extended period of time, you need blue light blocking glasses! They make some that are clear if you don’t want to wear orange glasses, but I notice a huge difference in how my eyes feel on days when I don’t wear them now. My eyes feel exhausted by the afternoon. But when I wear them I feel like my eyes don’t bother me at all! RELATED POST: See my favorite productivity apps in my blog post, Top 5 Productivity Apps for iPhone. Now you know how to use the Pomodoro Technique to be more productive, but if you want to take your productivity to the next level, you need to have a plan for your day. That’s why I created a free Daily Planner printable for you to use. This is the exact planner I use to review my day, set my priorities, and do morning and evening journaling prompts. Enter your information below to download the Daily Planner Printable for free! In order to make this actionable, I want you to do one simple thing today… try the Pomodoro Technique! Right after you finish reading this, pick a task to work on, set the timer for 25 minutes, and go! Come back and leave a comment here or reach out to me on Instagram and let me know how it went!